Are all the eggs produced by you? Yes, of course. Otherwise, can we offer you eggs that we are not sure of their quality so safely? Where do you get your forages from? We produce our forages in our own plants. And so we can add to them raw materials such as alfalfa, corn, red pepper flakes, wheat and barley at their freshest forms. We think that there is no need to say that we never add any animal additives or chemically synthesized artificial colorant to our forages. Where are your coops, can I see on situ? We have established our coops on the green plains of Hankendi Town in Elazığ. If you happen to pass, we would be glad to host you here and give the chance to taste the most delicious eggs on earth. What are the names of your brands, where they are sold? Natural egg Doğalım, organic egg flotty and cage-free egg Green Ranch are our 3 brands. 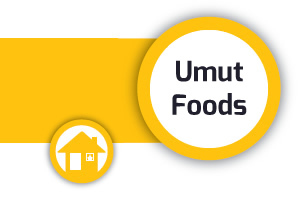 You can find our products in well-known shopping centers like Migros, Real, Kipa, Tansaş ve Macrocenters.